The world is now a truly global marketplace, with competition for business fierce. To grow your export business, you simply MUST be able to offer flexible finance and payment terms to your customers. You also have to make sure you get paid in full and on time. Which is why the decision on which method of financing is appropriate for an individual export sale is critical to your business. The transaction has to be attractive for the importer, but minimize (or preferably completely negate) risks of non payment for the exporter. 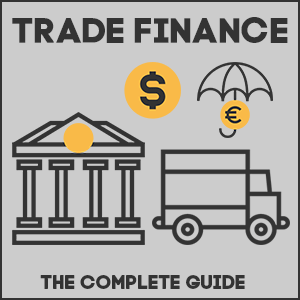 In this complete guide to trade finance we will start with an overview of the 4 major methods of payment for International trade, and then look at finance options available to exporters looking to grow their overseas business. We will also look at a specific method of financing available to importers looking to bring in U.S. goods who are unable to raise finance through commercial banks. As the diagram below shows, the risks associated with each method are inverse for exporters and importers. Now let’s take a closer look at each method, along with their advantages and associated risks. The exporter gets payment up front from the buyer before shipping goods – normally by wire transfer or credit card. Clearly this is attractive for the exporter as there is ZERO risk of non payment. Risk/Concerns – will the exporter actually ship the goods after payment? It should be obvious that exporters who offer cash in advance as their only form of payment are at a serious disadvantage. Frankly, if the customer can get credit terms for the same goods elsewhere, then you’re probably going to lose the sale. Which means you’re going to miss out on making sales to a lot of high value, credit worthy businesses. If cash in advance is the only available option, then the buyer may benefit from using a credit card to complete the transaction. However, as an exporter, be sure to check with the buyer’s credit card company for specific rules affecting international transactions and be wary of fraud. Letters of credit (LCs) are a common method of payment for international transactions. In a nutshell, the buyer sets up an arrangement with their bank to release funds (guaranteed by the bank) when the terms of the trade have been met. Generally release of funds will require presentation of a set of required documents set out in the terms. Letters of credit are particularly useful when the buyer represents an unsatisfactory credit risk for the exporter, but they are happy with the creditworthiness of the buyer’s foreign bank. The buyer is protected as they do not have to pay for the goods until all terms of the agreement are met. As LCs can be complicated arrangements, with lots of opportunity for discrepancy, they should only be prepared by expert documenters, or outsourced. Bare in mind that any discrepancy (however small) can be used as an excuse for non payment! There are several types of Letter of Credit. Here is a quick overview of some of the most common forms. An irrevocable letter of credit can only be amended or cancelled after issuing if both parties (buyer and seller) agree. Revocable letters of credit are rare, but are sometimes used when parent companies conduct international transactions with their subsidiaries. When an LC is not clearly defined as either revocable or irrevocable ,it is automatically considered to be irrevocable. Letters of Credit from foreign banks – particularly those from countries with an unstable political climate – present more risk to a US exporter. This risk can be mitigated when the LC is confirmed (guaranteed) by a U.S. bank (the exporter’s advising bank). When a documentary collection is the set method of payment for an international transaction, the exporter passes collection of payment to their bank. The exporter’s bank sends documents to a collecting bank (the importer’s) with instructions for payment. This method of payment does not offer any real guarantees for the exporter, with limited recourse in the event of non-payment. It is however (generally) a cheaper option than setting up a letter of credit for an export deal. The exporter ships the goods and then forwards documents to their bank. The documents are forwarded to the importer’s collecting bank (with instructions for payment) and the documents are released upon receipt of full payment. This method of payment involves extending credit of sorts to the importer. The credit takes the form of a ‘time draft’, which is a legal obligation for the importer to pay for the goods at a future date. When the date is reached, the collecting bank contacts the importer for payment, and forwards the funds to the remitting bank for credit to the exporter’s account. Open account is basically extending credit (exporter) to the customer (importer). Payment terms are usually set to between 30 and 90 days after delivery of goods. Clearly this is great for the buyer: they get the goods and have a period to make sales to cover their costs of purchase. They therefore don’t have to dip into their existing cash flow or reserves to import goods. It is of course however, the highest risk option for the exporter. They ship the goods, wait for the agreed period, and are reliant on the customer stumping up the cash on the agreed date. Fortunately, there are various finance options available for exporters to offer open account terms to their overseas customers. These can be combined with insurance and other products to negate risk of non-payment. In chapter 2, we will look at these finance options in more detail, before moving on to look at methods of mitigating risk of non-payment. It’s clear that to win customers in competitive export markets, your business should offer attractive (and flexible) payment terms. And as we have already seen, open account (or credit) terms are the most beneficial for importers. To help your export business to grow, there are a number of solutions available – all of which will allow you to extend credit, and some which will also help to finance your capital equipment/stock. Here is an overview of each option. Export working capital is finance provided by a commercial bank to help support export sales. Funds can be provided for purchasing the goods and services required for exporting, and also for easing cash flow to allow exporters to offer credit terms to their customers. An export working capital facility can be set up to finance an individual deal, or alternatively a general facility can be agreed to finance multiple export sales. For individual transactions, the facility will normally have a one year term, while general facilities may be extended for up to three years. Depending on the risk, the bank may ask for a security against the finance. This will normally be a charge over the company’s assets, or in some cases a personal guarantee. It is also standard practice for the bank to collect receivables directly from the customer, deducting any fees, and passing the balance to the exporter. Generally a transaction specific loan will be short term and taken out to cover a large, or atypical export order. The term of the loan will normally be between 3 and 12 months, with interest rates generally fixed over the period. 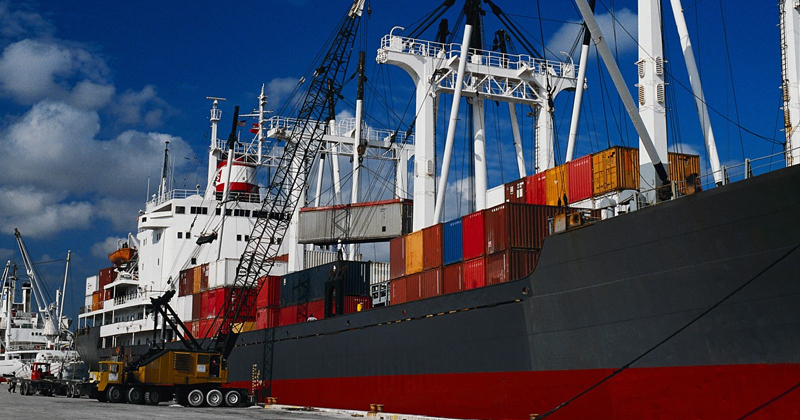 A revolving line of credit is appropriate for a business who wishes to have a level of financial comfort to enable them to complete regular export deals. This is the best option for export companies who do not have a predictable order book and may have peaks and troughs in their business. Funds can be drawn down to the agreed level at any time while the agreement remains in place. In some cases a government guarantee may be required to access finance (see below). In cases where commercial banks are reluctant to lend, or borrowing limits are insufficient to meet requirements, the U.S. government has a guarantee scheme available to help exporters get access to the finance they need. The Export-Import Bank of the United States (Ex-Im Bank) and the U.S. Small Business Administration (SBA) work together to provide finance to export businesses through participating lenders. Typically the SBA will handle finance requirements below $2 million (and support is limited to small businesses), while Ex-Im will assist with larger facilities. These government backed loans are known as ‘Government-Guaranteed Export Working Capital Programs (EWCP)’ and allow export businesses to borrow more against their total collateral value than non-guaranteed loans. This illustration from the US trade department shows how a loan backed by an EWCP allows a business to borrow more than double the amount they would with a non-guaranteed loan. For protection from risk of non-payment when offering open account terms, export finance should be combined with a risk mitigation option. Below we will look at 3 of the most effective solutions for risk mitigation. Export credit insurance protects an exporter against the risks of non-payment in an International transaction. Export credit insurance can be taken out on a single policy basis (against a single transaction), or a general policy can be sought to cover multiple export deals. Policies can cover both short term transactions (up to one year) and medium term payment options (one to five years). A short term policy will generally insure between 90 and 95 percent of the transaction value against non-payment. Consumer goods and services are normally covered for up to 180 days, while small capital goods, consumer durables and bulk commodities can be covered for up to 360 days. Medium term export credit insurance generally provides 85 percent coverage on large capital equipment transactions for up to 5 years. While most general (multi-transaction) policies will cost less than 1 percent of total insured sales value, individual transaction policies will fluctuate depending on the above factors. Regardless, the cost of taking out an ECI policy should be significantly less than the costs associated with setting up a letter of credit transaction. We recommend taking out an export credit insurance policy from Ex-Im Bank. Ex-Im is able to provide coverage in emerging markets, which may not be available through private insurance companies. Additionally Ex-Im policies are backed by the credit of the U.S. government (it doesn’t get more sound than that!) and exporters buying multiple policies can benefit from significant discounts on their premiums. Yegg Inc is a licensed broker (registered with Ex-Im Bank) of Export Credit Insurance and can assist your business in putting an appropriate policy in place. Find out more about our Ex-Im Bank export credit insurance services here. A factor purchases an exporter’s short-term foreign receivables at a discount from book value and assumes all collection responsibilities and risks of non-payment. Clearly this protects an exporter 100% from payment default, however, as the book value is discounted, this option is more expensive than export credit insurance. Generally factoring is most beneficial for businesses who are experiencing rapid growth in their export sales, as cash for exports come in up front (although at a discount) allowing investment in additional stock. There are two main types of export factoring arrangement. The factor pays the exporter an advance of funds against their foreign receivables until the cash is collected from the importer. The exporter is paid the value of the sale (minus a commission charge) when receivables fall due. The cost of the commission can be anywhere between 1 and 4 percent depending on the risk to the factor. Yegg Inc can help set up an export factoring solution tailored to your business requirements. Contact us for more information. Forfaiting is similar to export factoring, in that foreign receivables are sold to a third party. However, unlike factoring it can be used to finance medium-long term transactions (payment terms up to 7 years). Receivables are normally guaranteed by the importers bank, allowing the exporter to take the transaction off their balance sheet and have comfort on receiving payment. The minimum transaction value for forfaiting is currently set at $100,000. Yegg Inc can arrange forfaiting for your International trade. Contact us for more information. For large export deals, involving high value goods, commercial bank funding may be unavailable or difficult to secure for foreign buyers. Particularly if they are located in a developing, or politically unstable country. In these cases it is worth exploring government assisted foreign buyer financing from Ex-Im Bank. Ex-Im Bank will assist with financing for creditworthy foreign buyers when they are purchasing U.S. goods and services from U.S. businesses. While the bank does not directly compete with the commercial banking sector, it is there to ‘fill the gap’ when suitable funding cannot be found. If you are an international importer looking to finance a purchase from a U.S. business and wish to apply for Ex-Im Bank funding please contact us for assistance. Every business is unique and, as you will have seen, there are a number of factors to consider when choosing a trade finance solution (or combination of solutions) for your business. If you need assistance with finding the right finance for your company, or with setting up any of the options then we can help. Contact us to discuss your specific requirements and we’ll help you find and implement the best solution for growing your export or import business. And if you have any questions regarding this guide, then please leave a comment below and we’ll be happy to assist! Subscribe to our FREE newsletter for finance and export management tips by email.